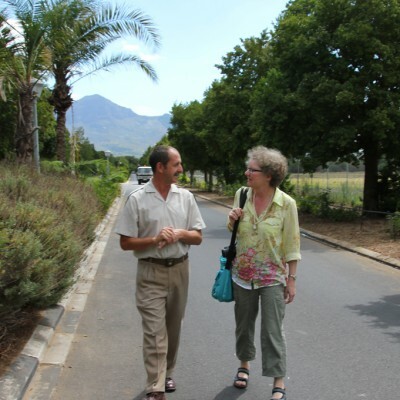 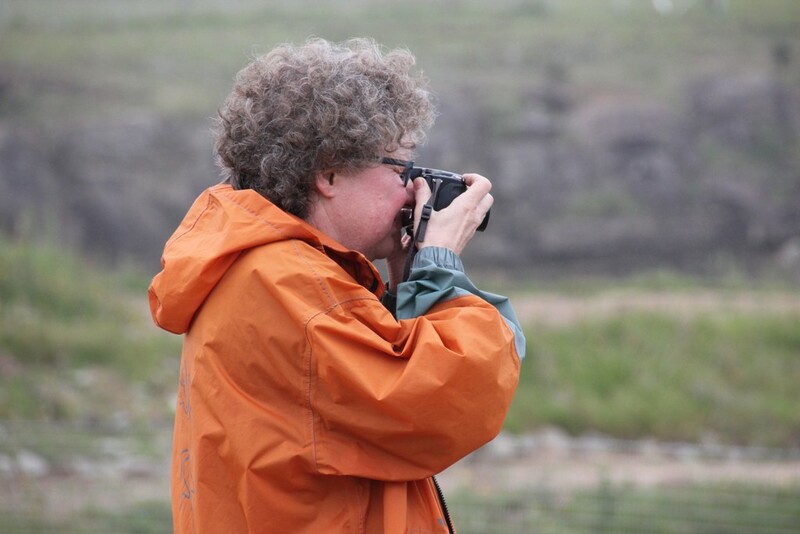 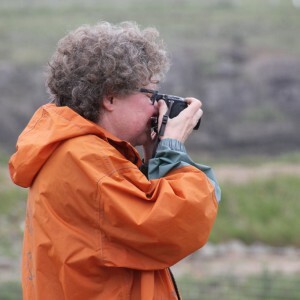 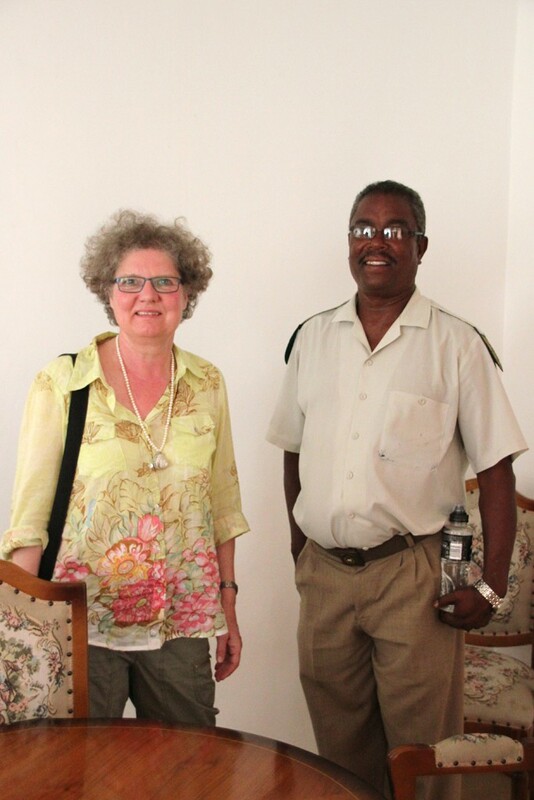 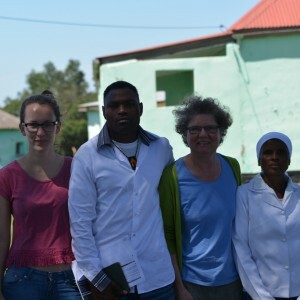 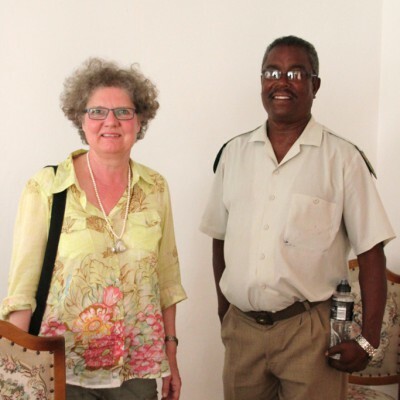 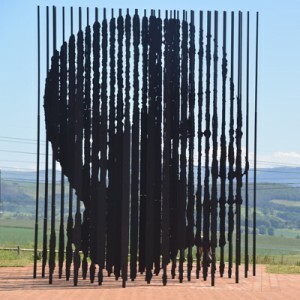 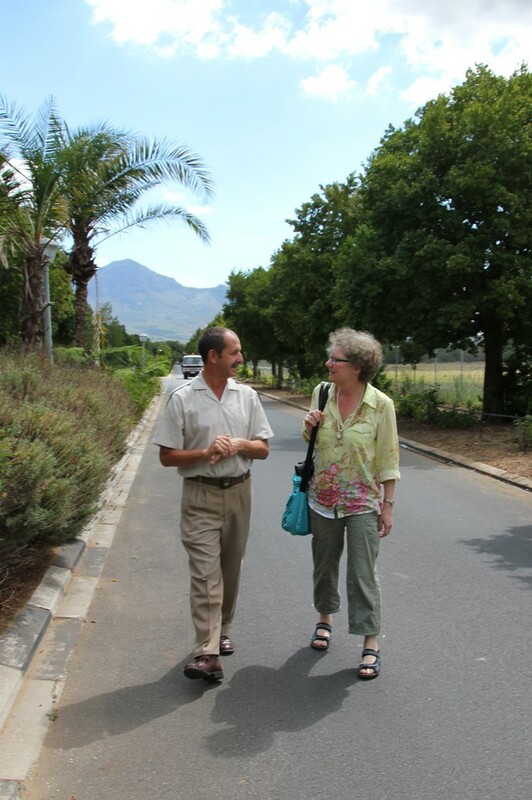 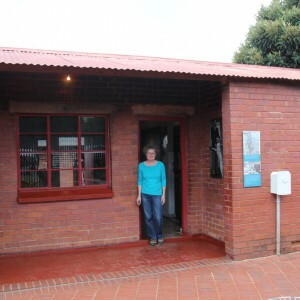 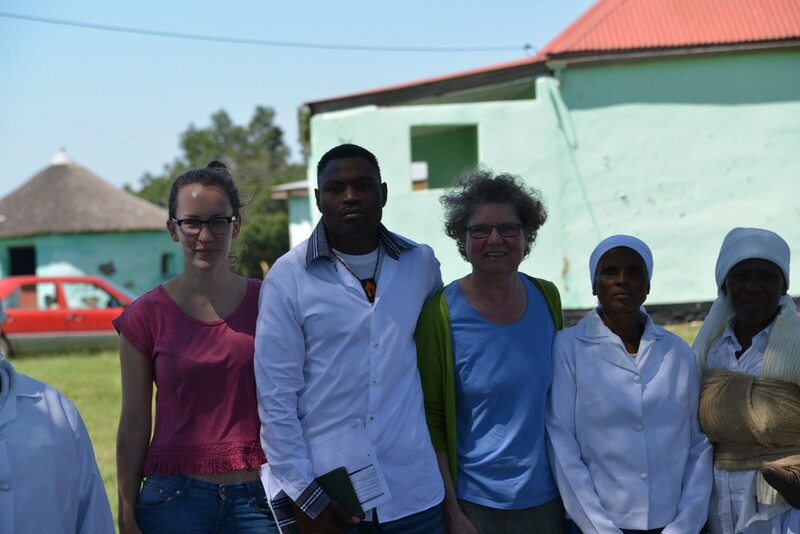 Artist Dagmar Schmidt from Cologne, Germany visited, together with Rainbow Agency, all the places that were significant in Nelson Mandela’s life, from birth to death. 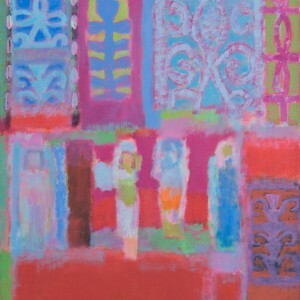 She preserved all her impressions during this journey and, on her return to Cologne she transforms them into paintings. 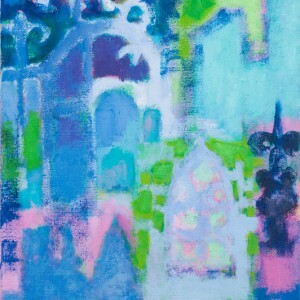 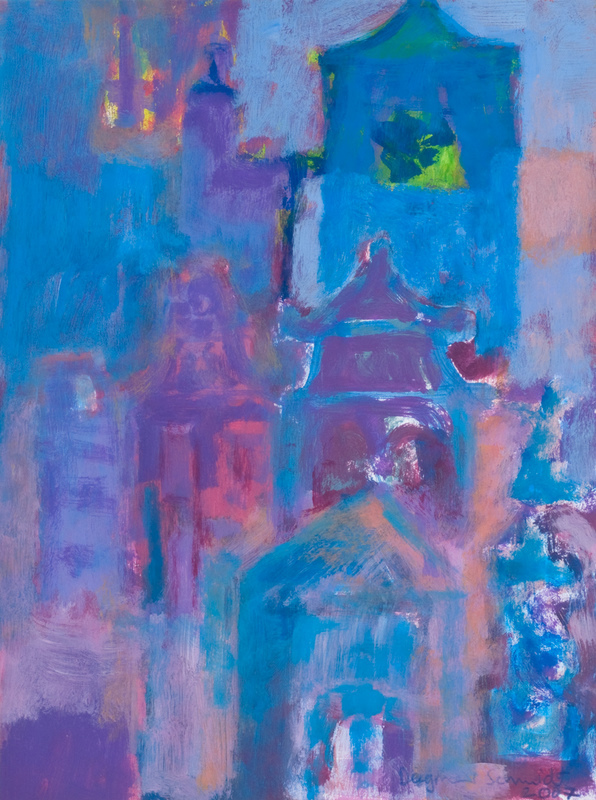 She often puts her impressions together as collage-like pieces of scenery, with the colour being the most important contributor to the picture. 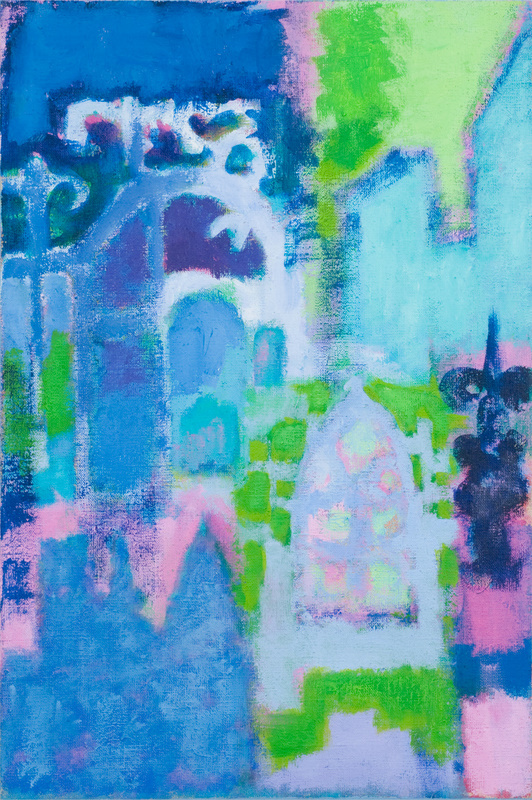 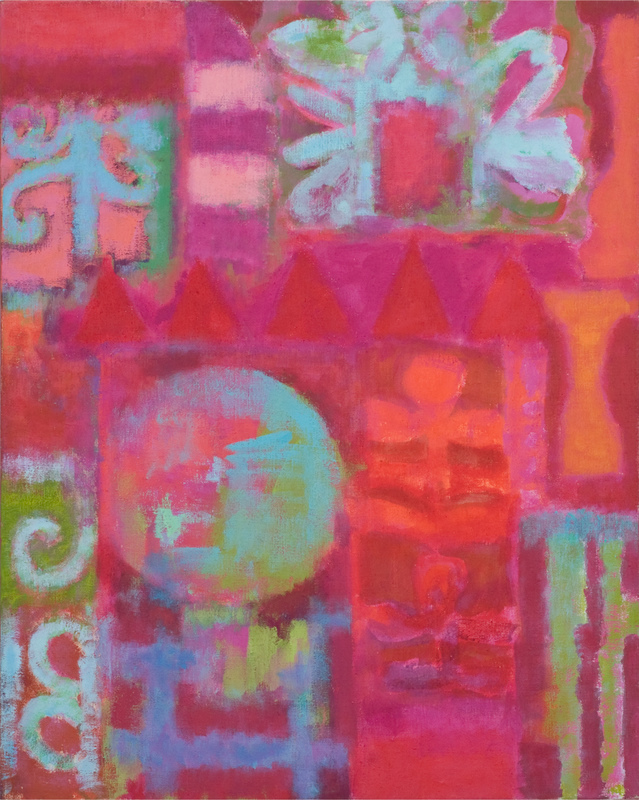 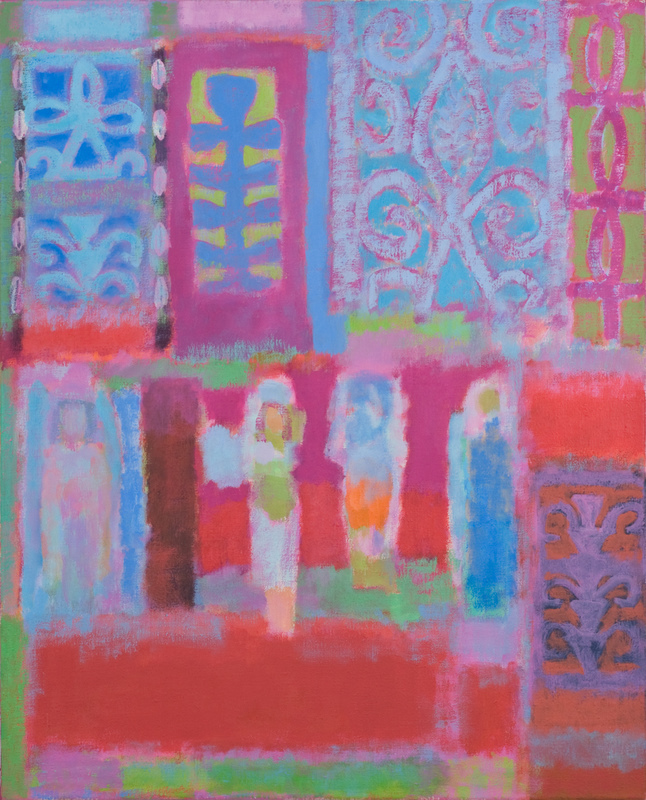 Dagmar Schmidt is a painter who has shown her pictures already at exhibitions at home and abroad, among other places in Cologne, Berlin, Paris, Rome, Liverpool, Cairo, Alexandria and Victoria, Seychelles. 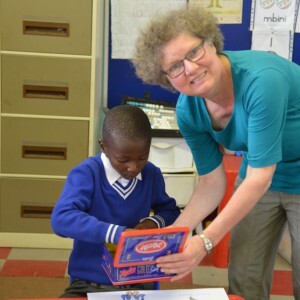 She has been working in the museum educational service Cologne for many years. 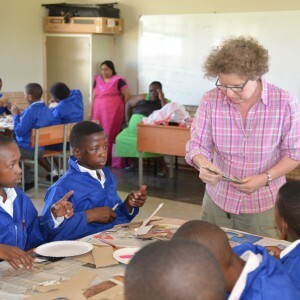 Additionally since 2001 she has been studying in Egypt; in museums in Alexandria, Luxor, Assuan, Abu Simbel, the Kharga oasis and Cairo. In South Africa she visited places and venues which were important in the life of Nelson Mandela such as his birth town of Mvezo. 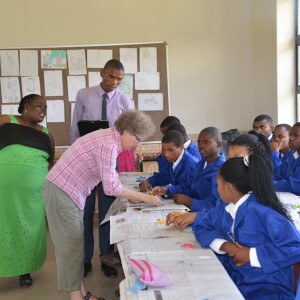 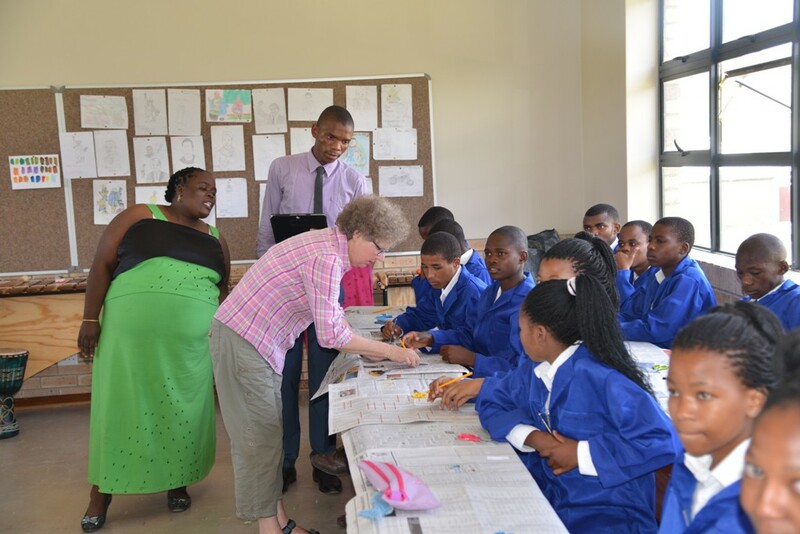 There she worked art with the students of the Mandela School of Science & Technology, creating pictures and other pieces of art. 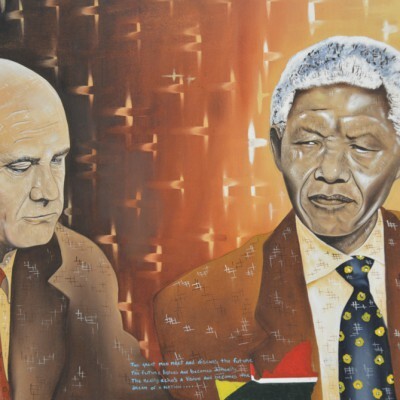 On the 5th of December 2015, the second anniversary of Madiba’s death, all of the paintings created by Dagmar Schmidt out of the “Mandela Project Tour 2015” will be shown for the very first time at the Embassy of the Federal Republic of South Africa in Berlin. 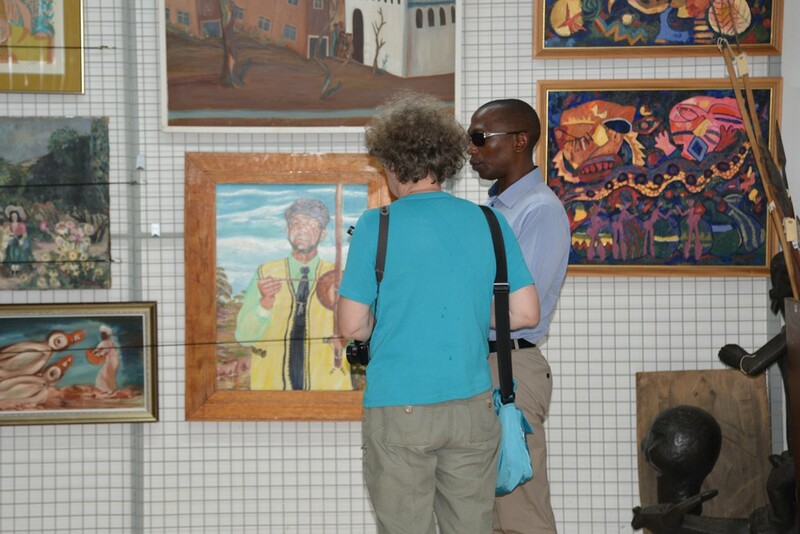 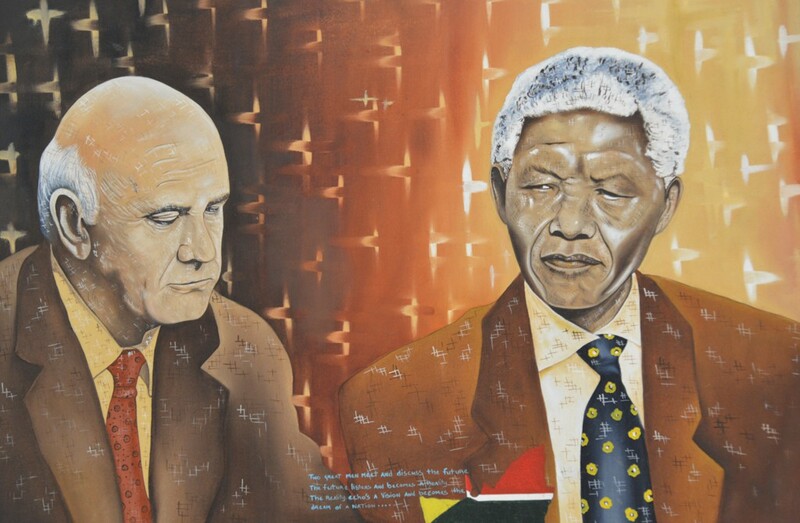 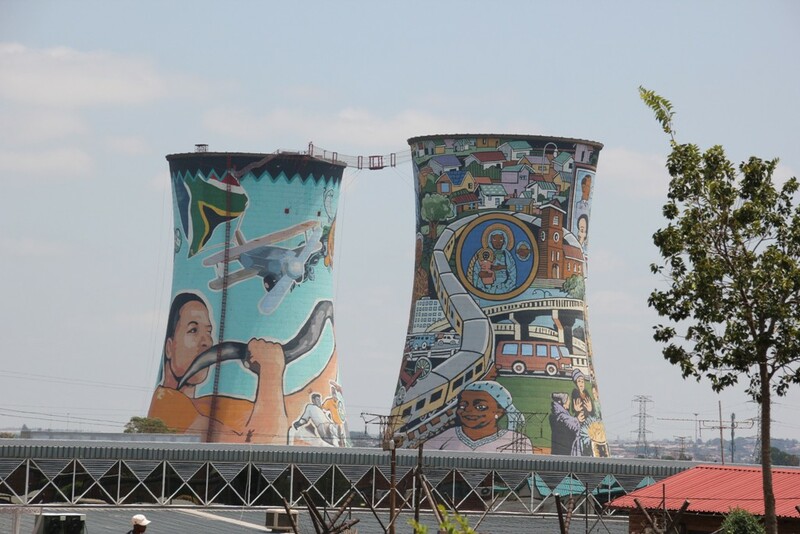 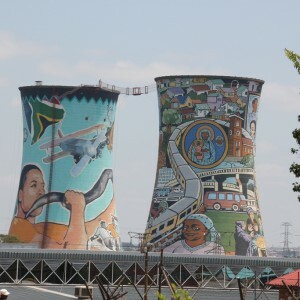 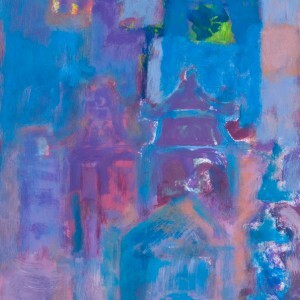 The paintings will then be exhibited in places in South Africa which were significant in Nelson Mandela’s life. 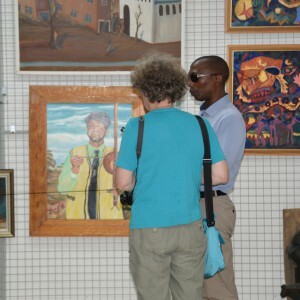 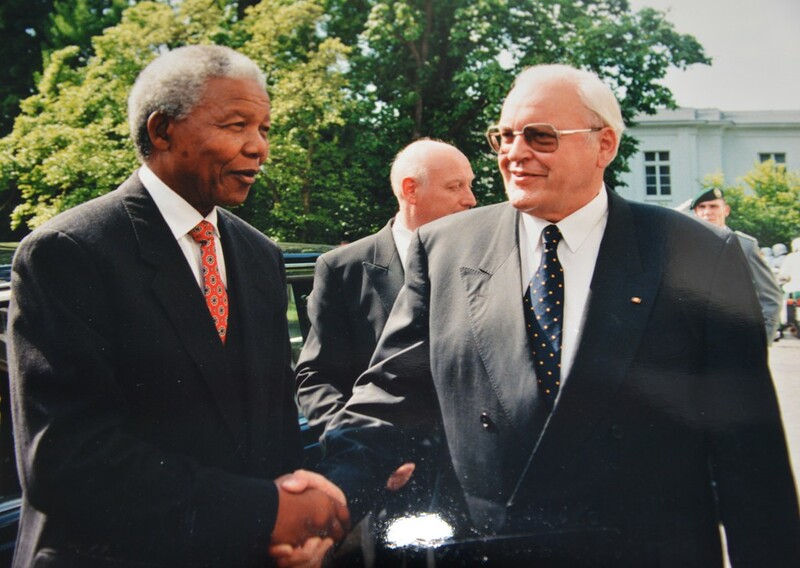 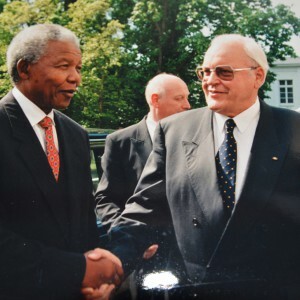 We have begun to plan the first exhibition venue for Dagmar`s paintings right from the start of the “Mandela Project Tour”. 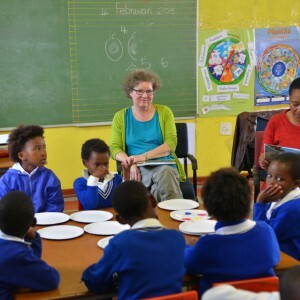 This is co-organised with Kirsten Buchhorn (Cultural Affairs/German Consulate General in Cape Town), as well as, the Consul General Dr. Bernd Rinnert. 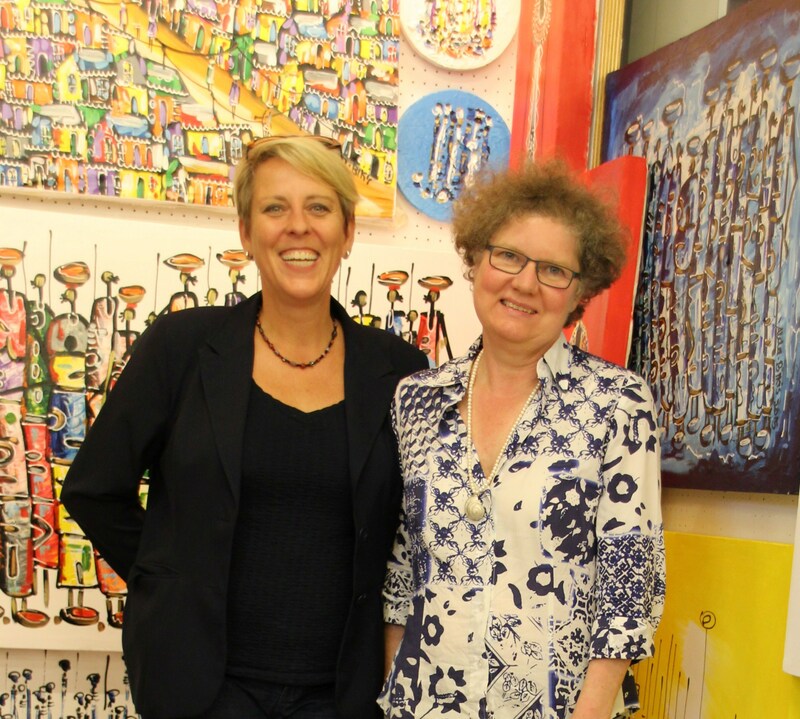 They will choose the location in South Africa where Dagmar’s paintings will be shown to the public for the very first time, after the vernissage in the Embassy of South Africa in Berlin. 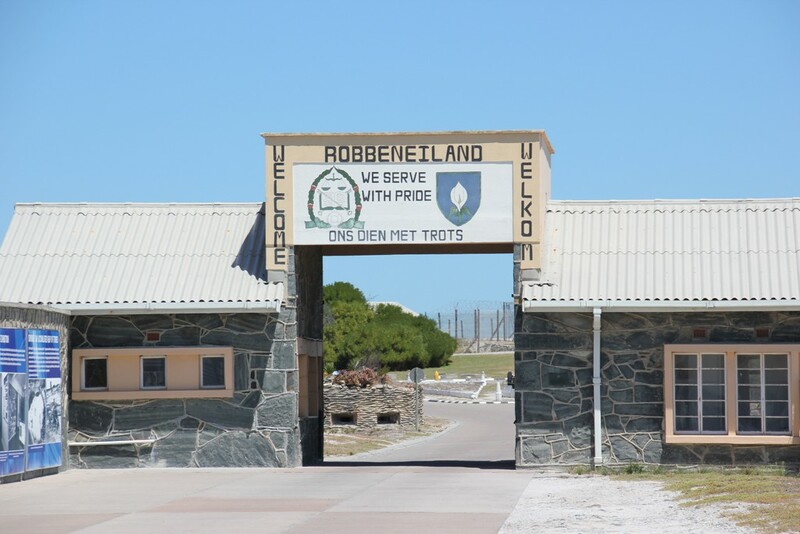 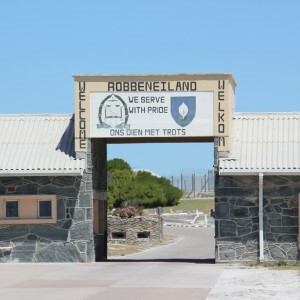 In 1964 Nelson Mandela was transferred from Pretoria to the prison on Robben Island, where he had to spend 18 years of his incarceration of 27 years. 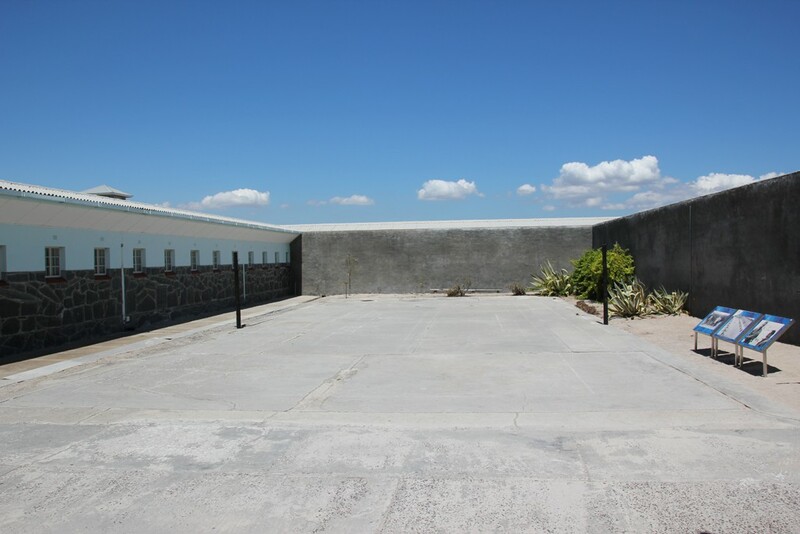 In December 1988 Nelson Mandela was transferred to Victor Verster Prison (the Drakenstein Correctional Center of today) near Paarl. 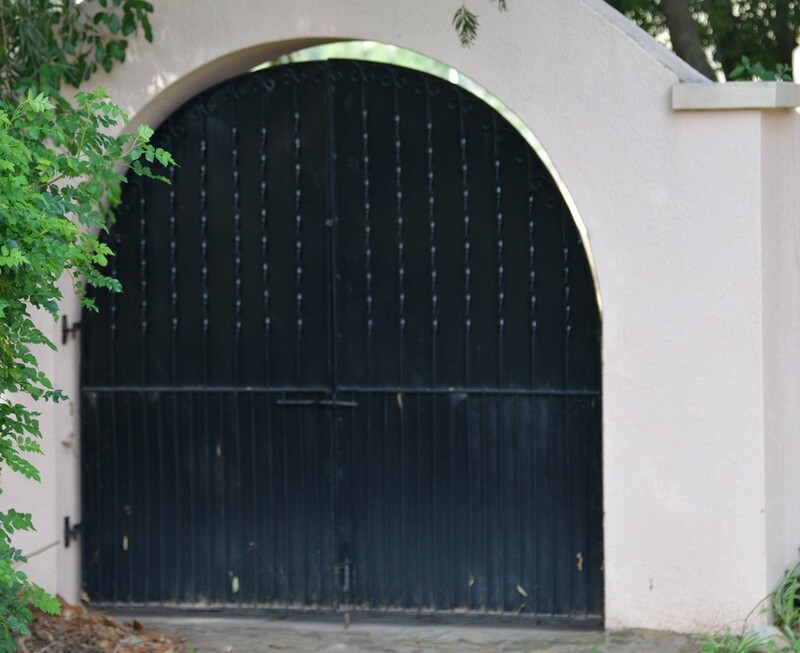 He was held in a single bungalow formerly occupied by a warder. 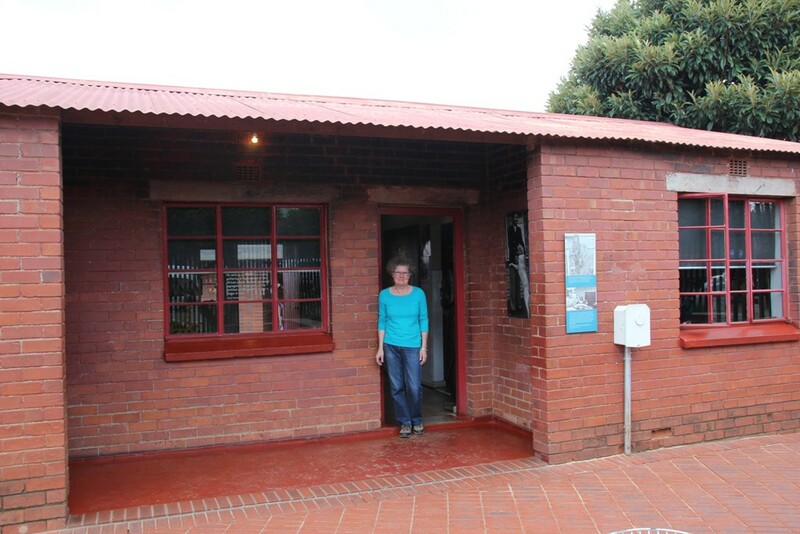 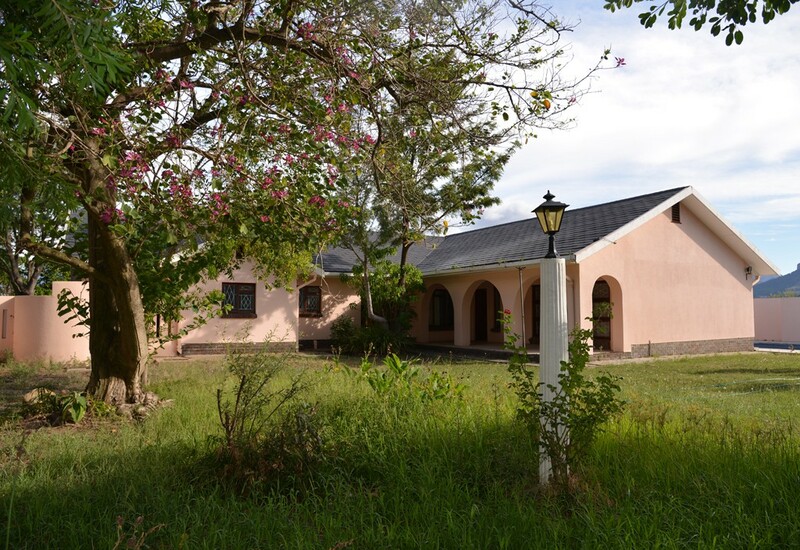 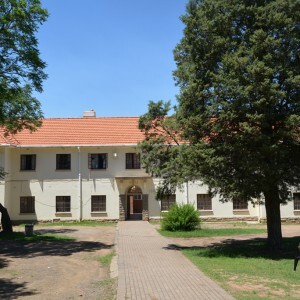 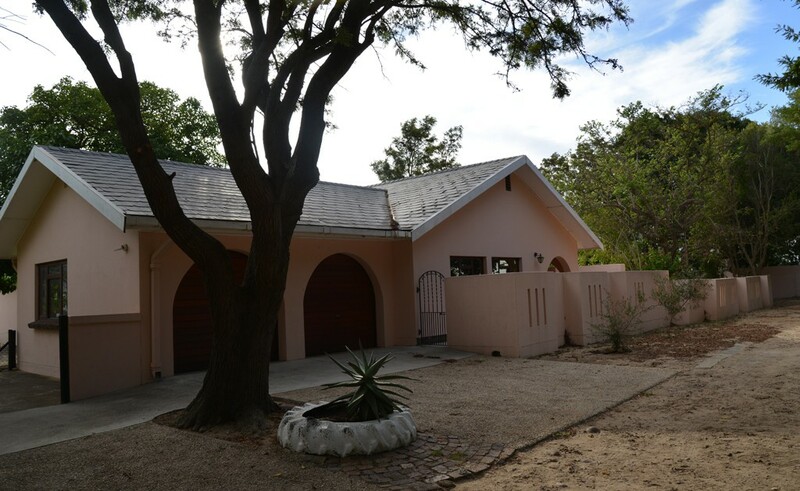 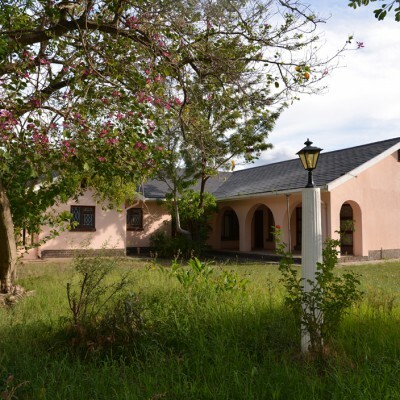 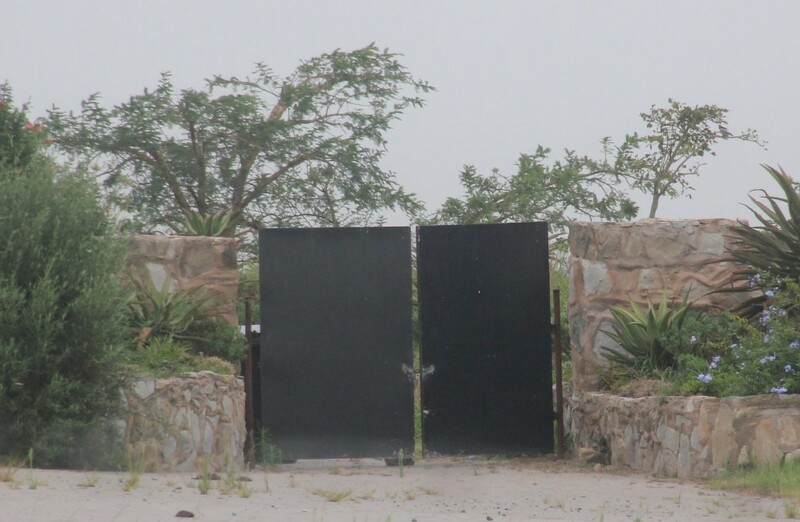 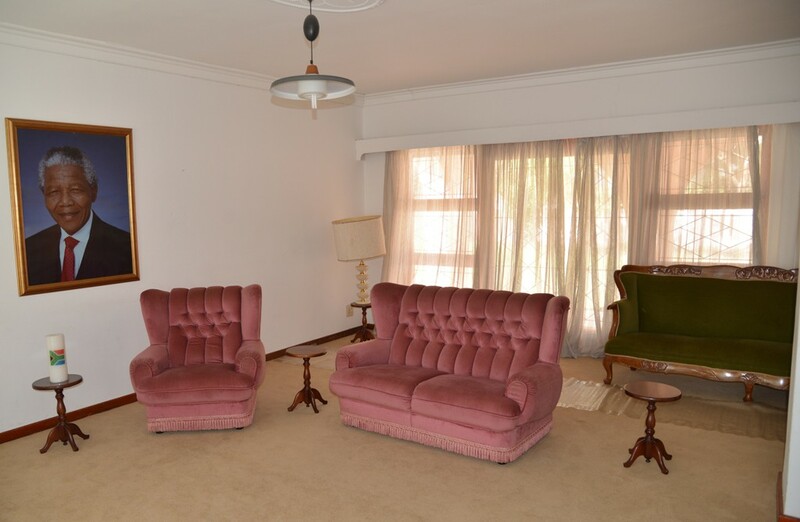 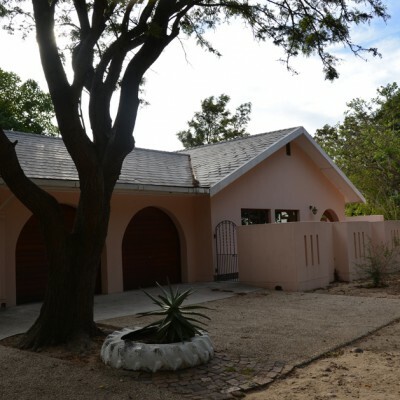 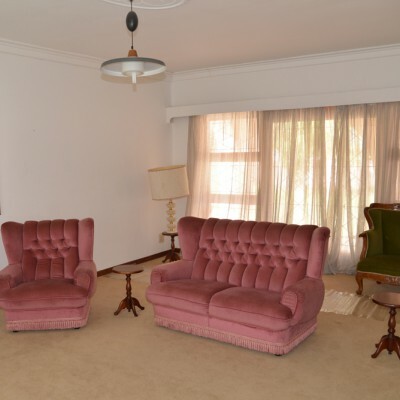 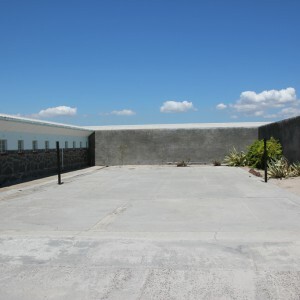 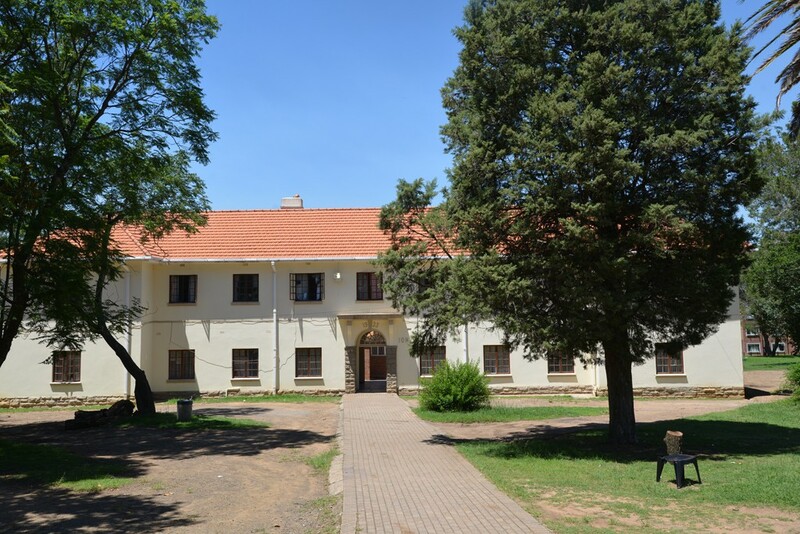 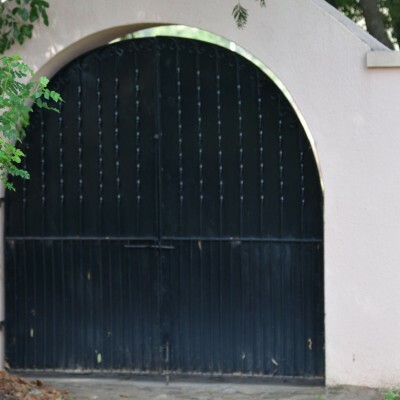 Nelson Mandela stayed there 14 months until his release to freedom on 11 February 1990. 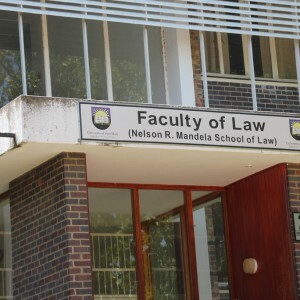 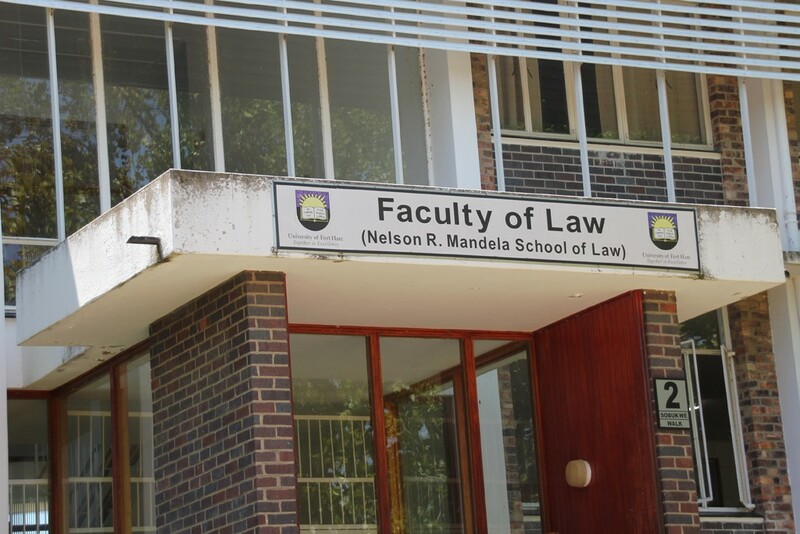 1939-1940 Nelson Mandela studied English, Anthropology, Roman-Dutch law and Administrative law at Fort Hare University, due to students riots he was expelled from there without a diploma. 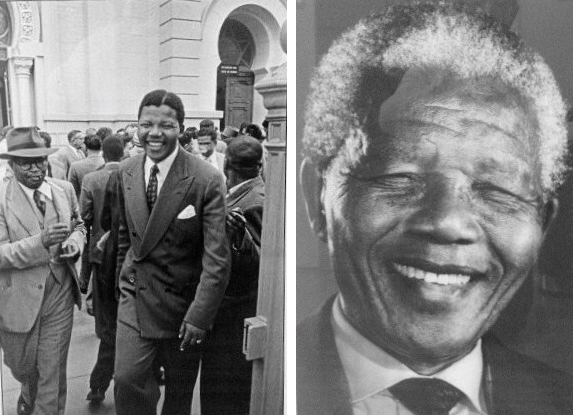 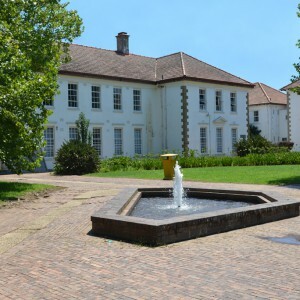 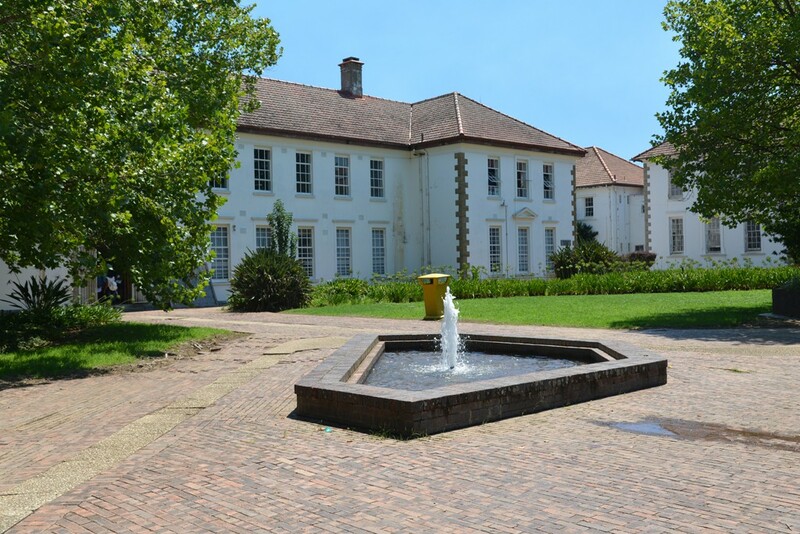 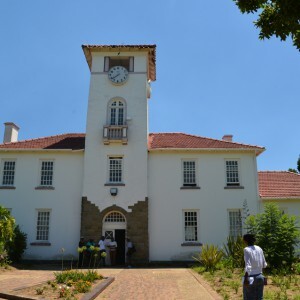 In 1943 Mandela returned to Fort Hare to take his bachelor degree exams. 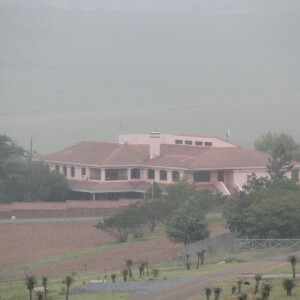 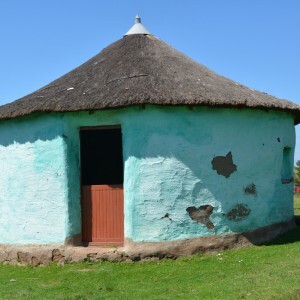 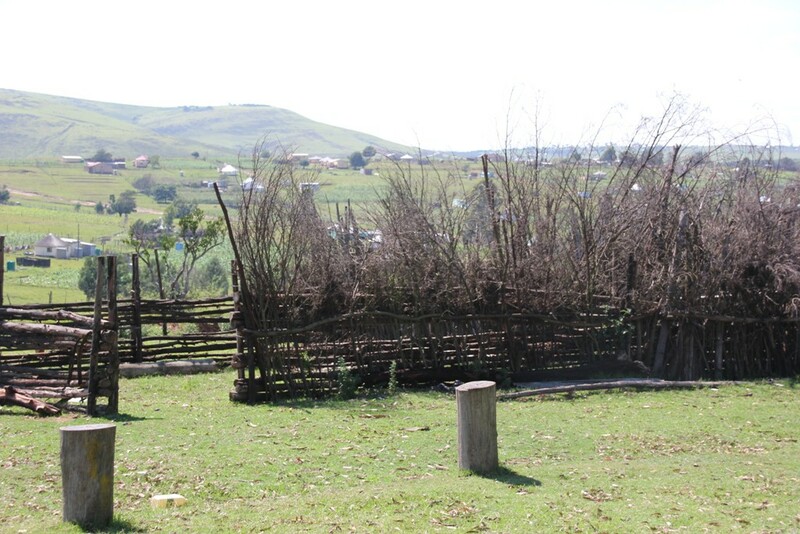 Nelson Mandela grew up in Qunu and returned here to his roots after his retirement in 1999. 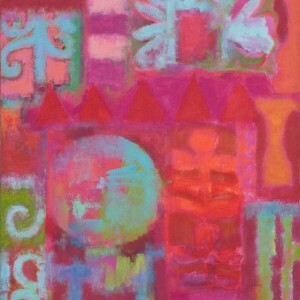 On 15. 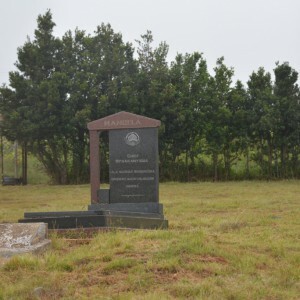 December 2013 he was buried on the lands of his family. 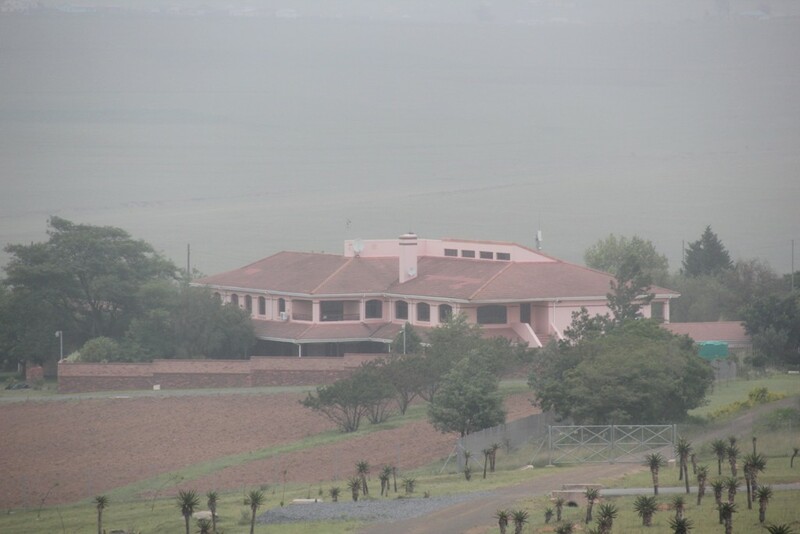 Nelson Mandela spent his first school years in Qunu near the Nelson Mandela Primary School of today. 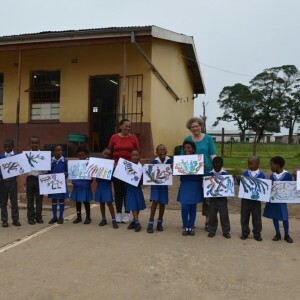 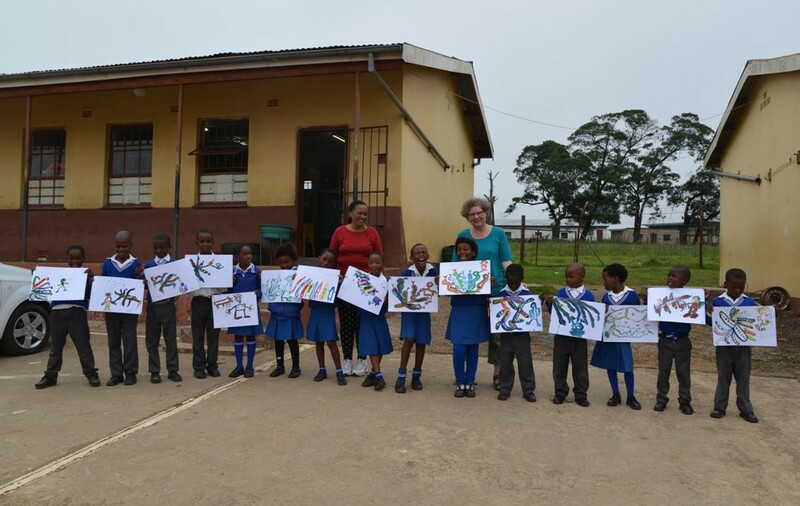 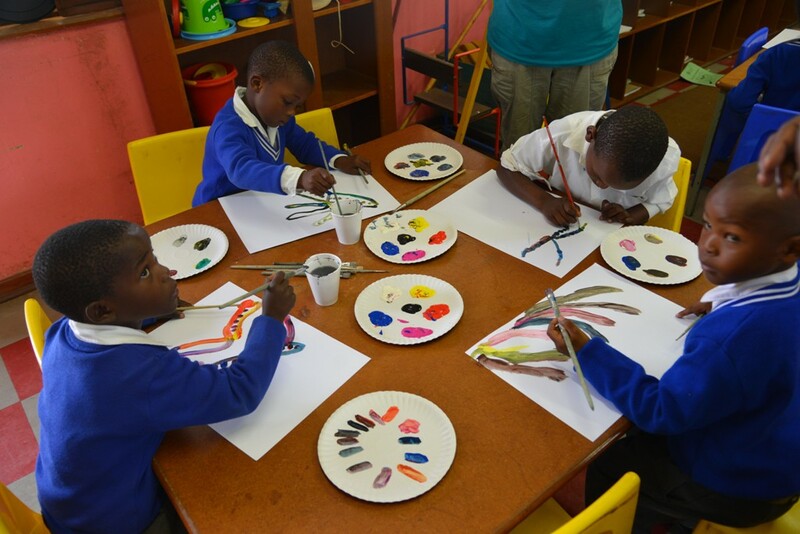 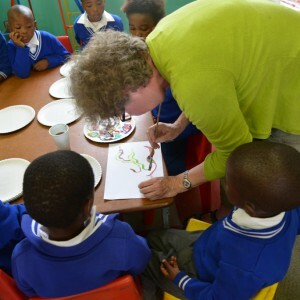 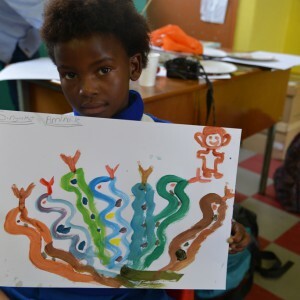 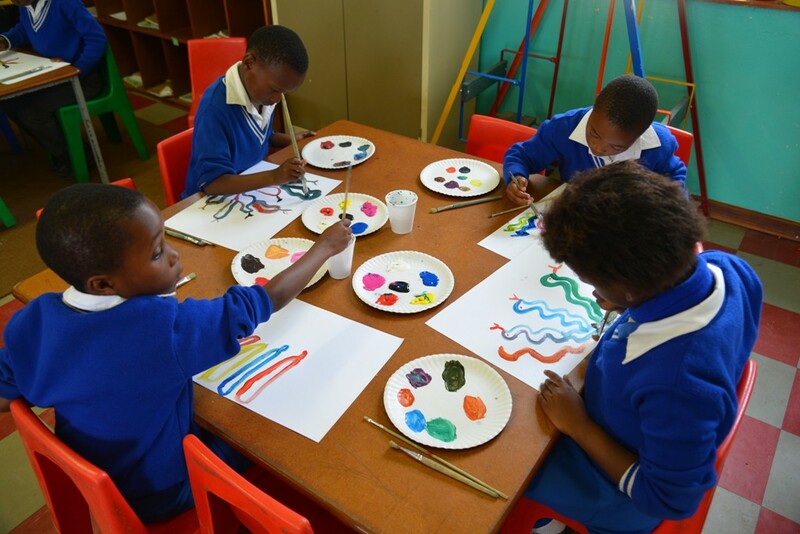 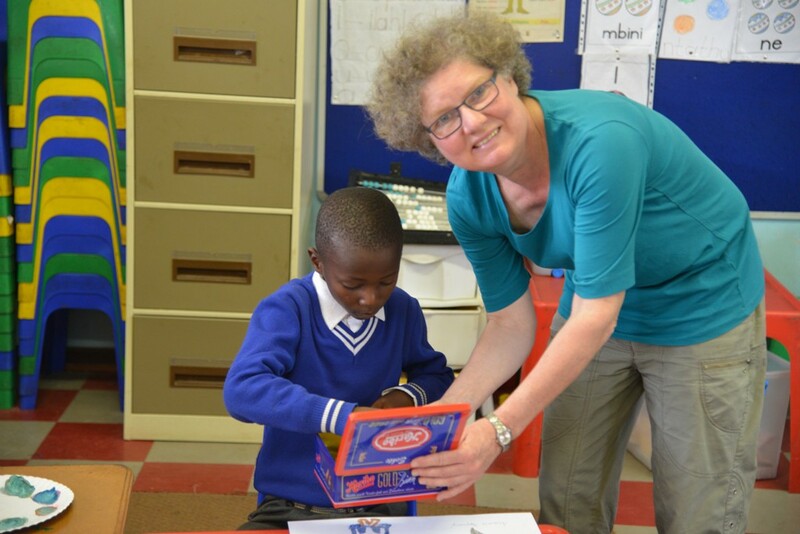 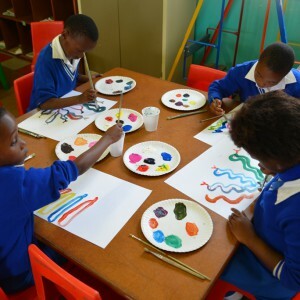 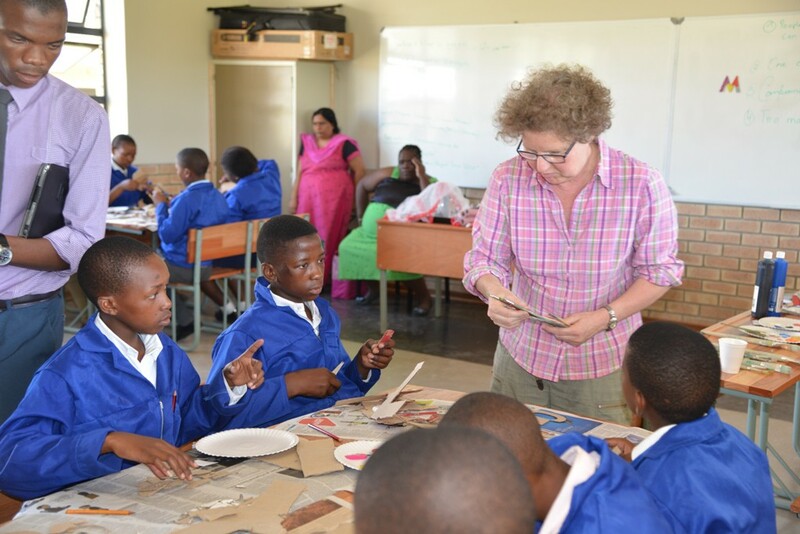 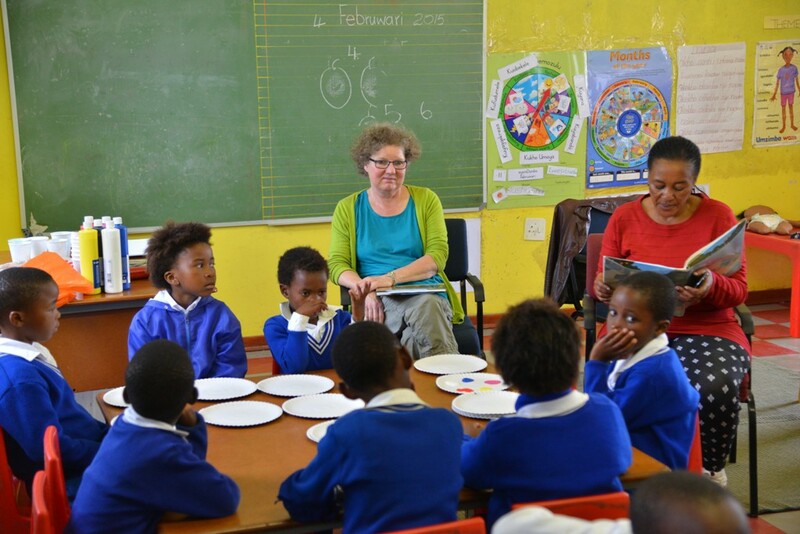 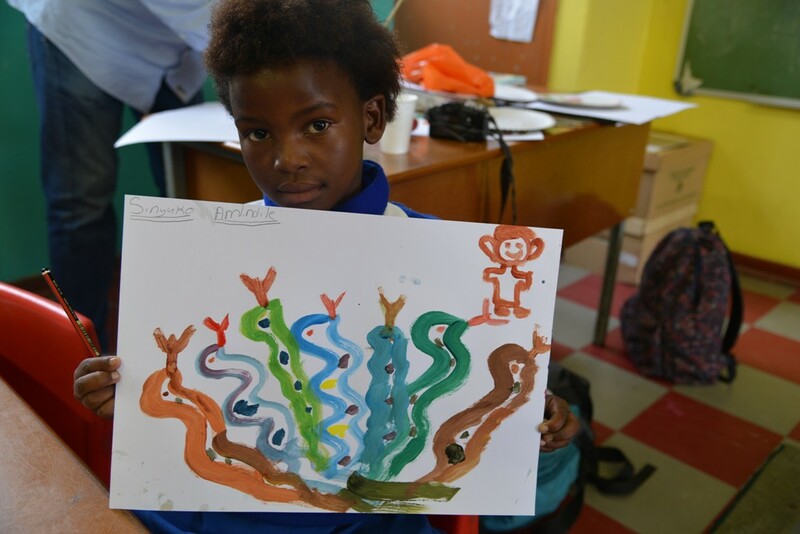 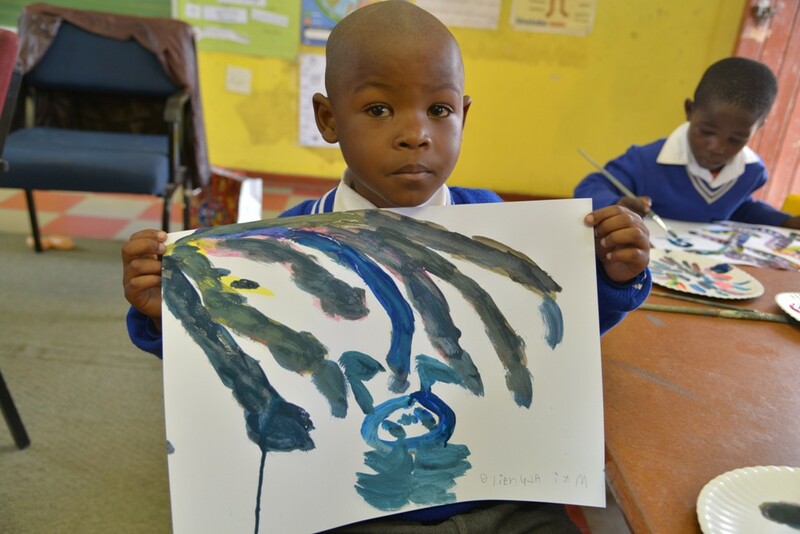 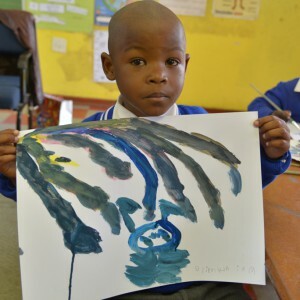 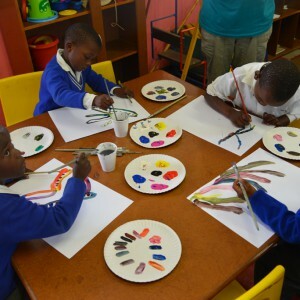 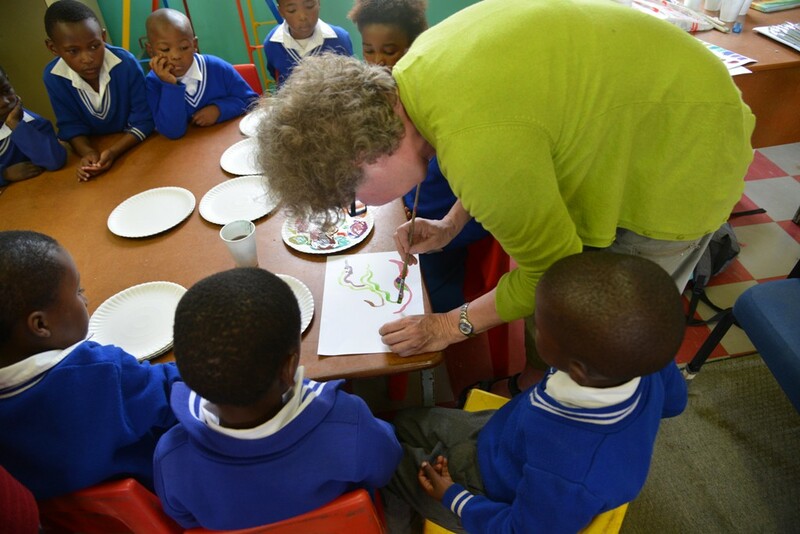 The kids of the new school paint pictures together with Dagmar Schmidt regarding the fairy tail „The Snake with Seven Heads“ from the book „Nelson Mandela`s Favorite African Folktales“. 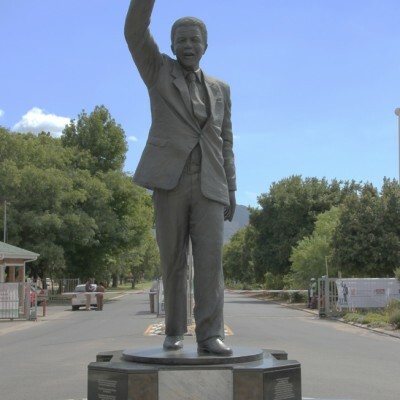 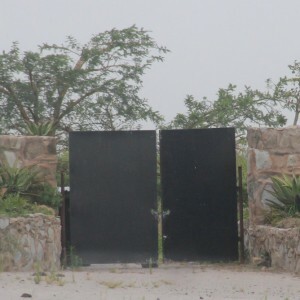 Mvezo is Nelson Mandela`s birht place. 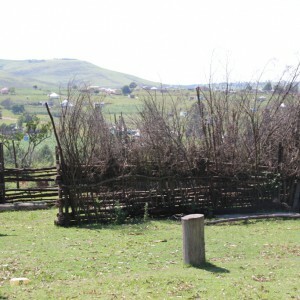 He wished that the children from his birthplace should also have access higher school education. 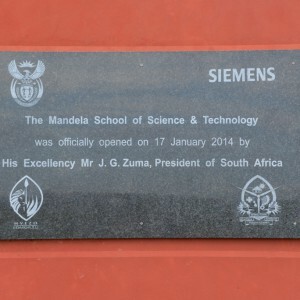 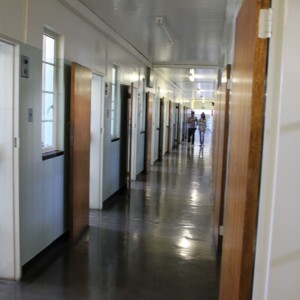 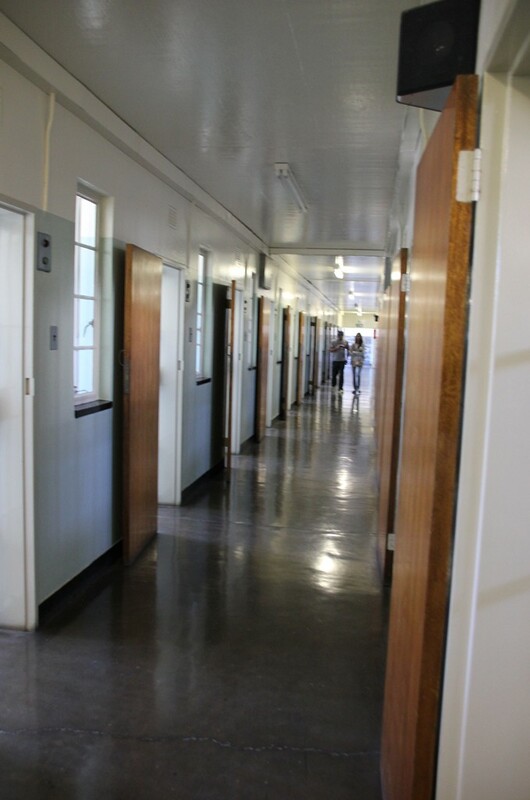 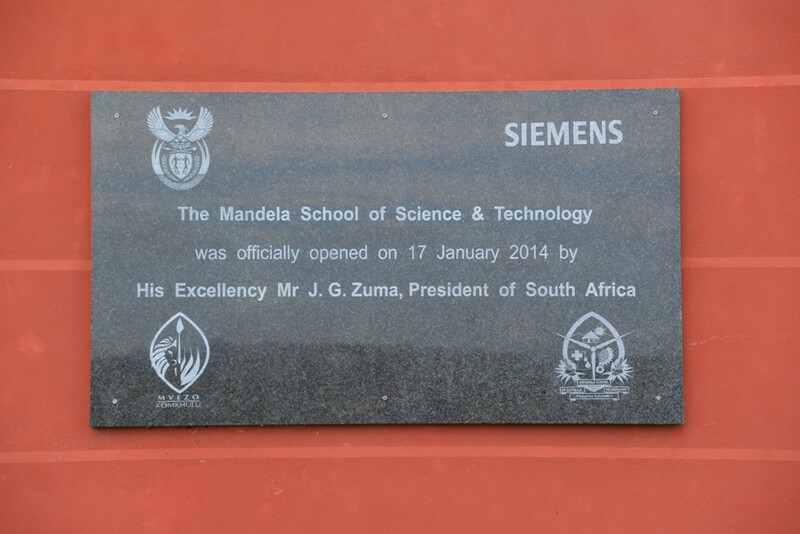 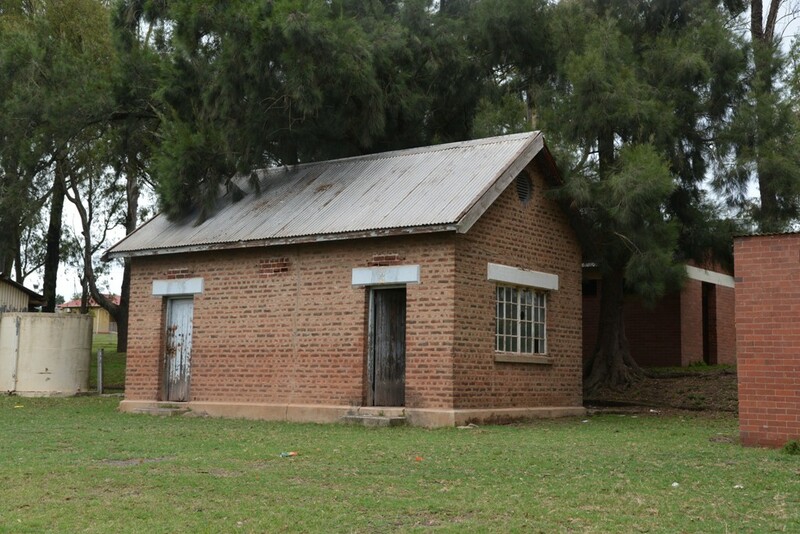 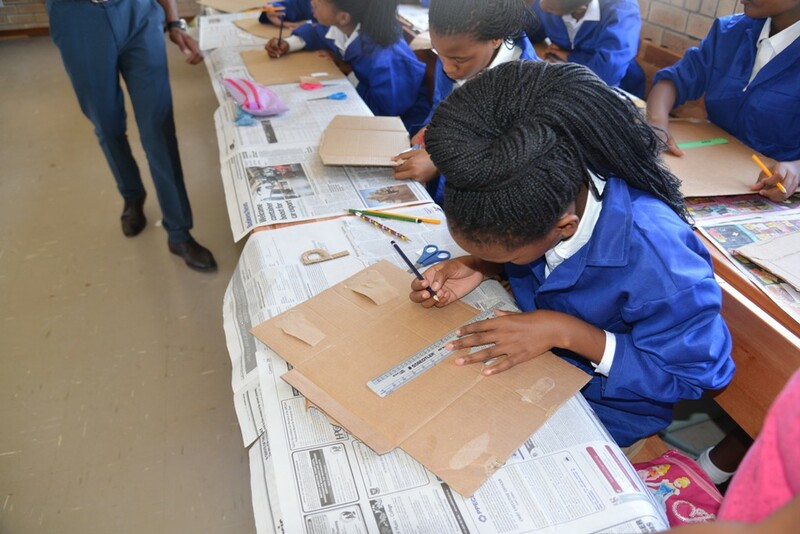 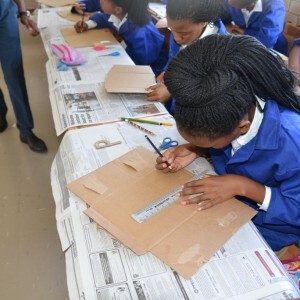 In collaboration with Siemens, the Mvezo development trust and the South African ministry of education after a three-year-long construction period the first higher school in Mvezo was opened in January, 2014. 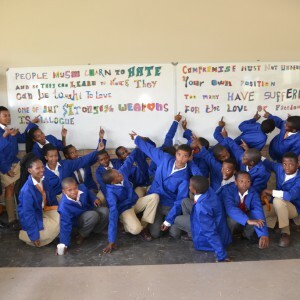 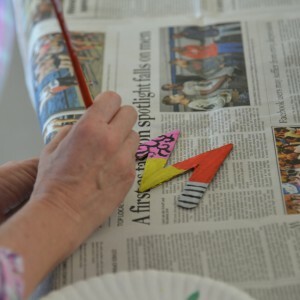 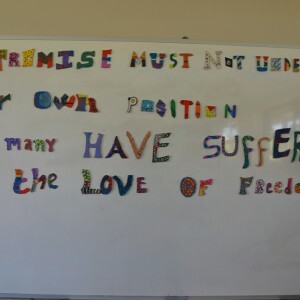 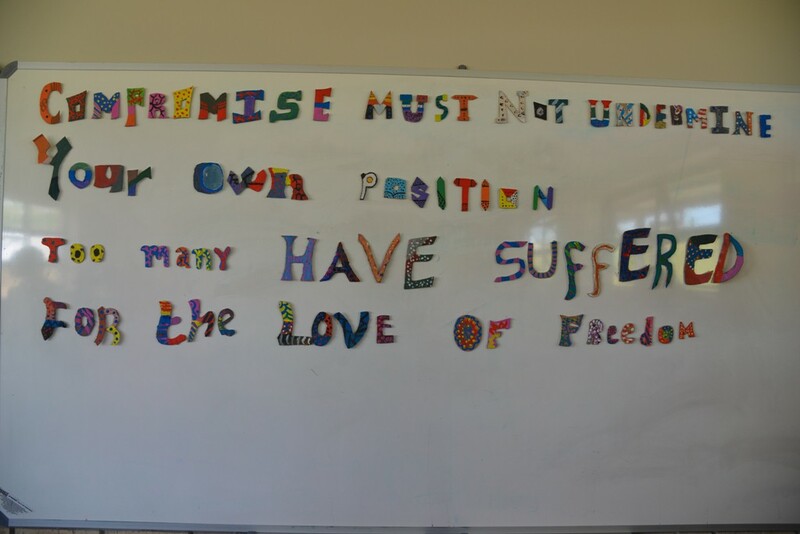 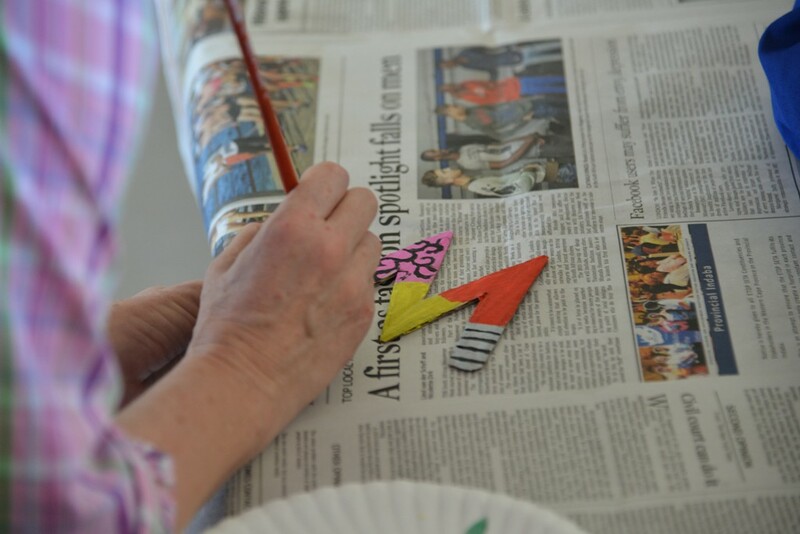 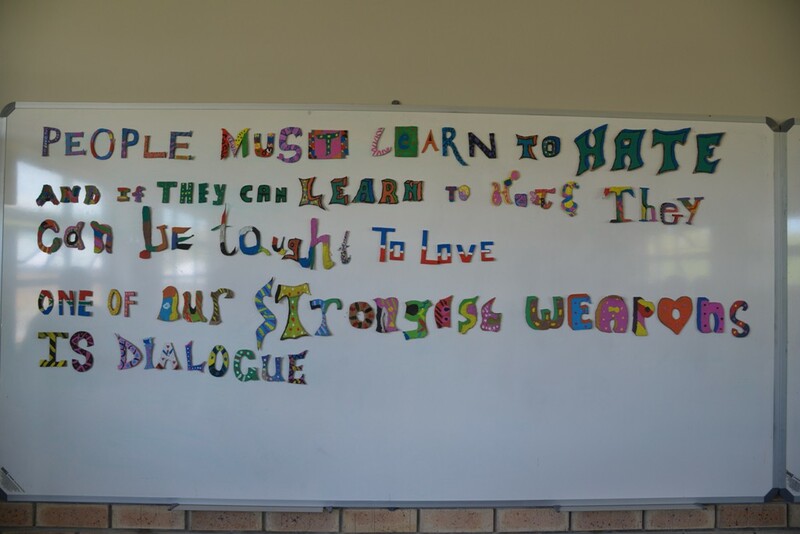 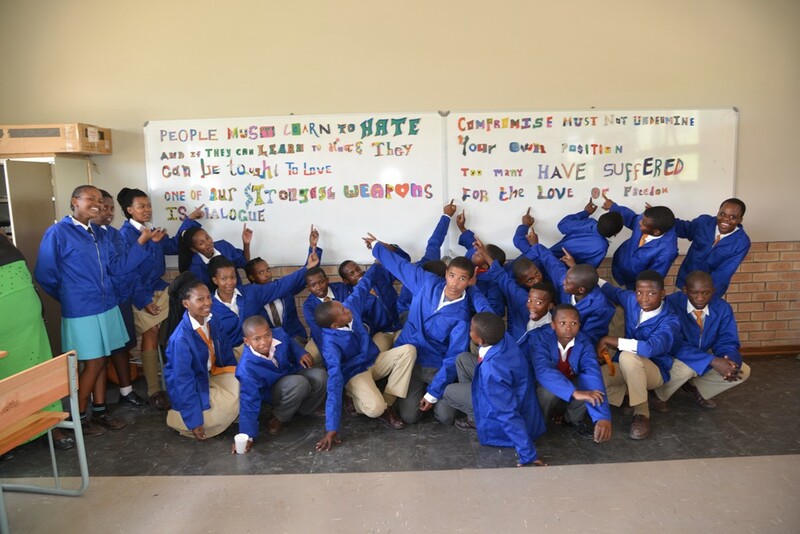 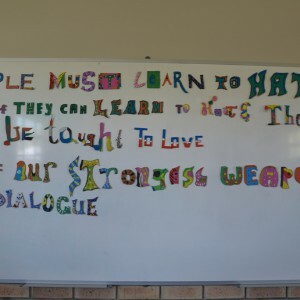 The pupils have created together with Dagmar Schmidt after the book „In the words of Nelson Mandela“ four art objects with Mandela citations. 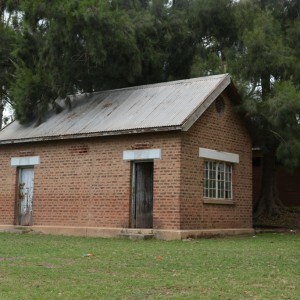 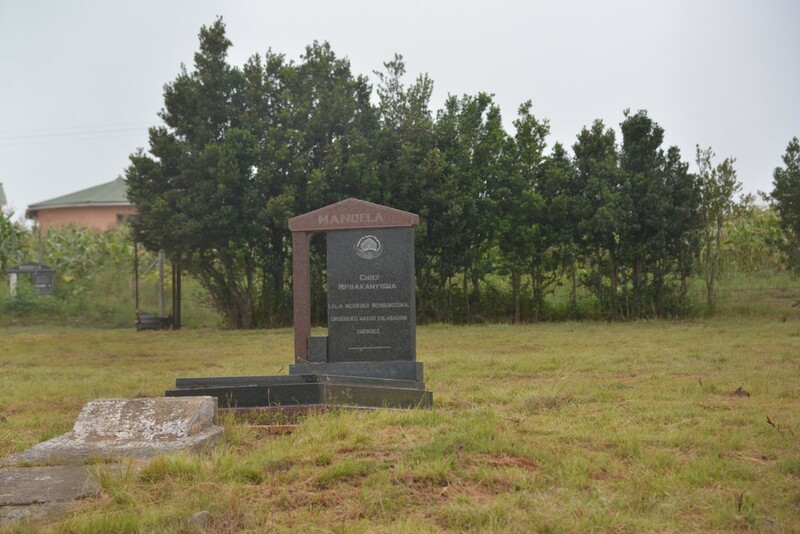 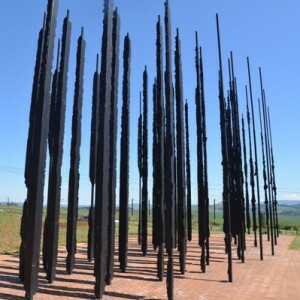 After the death of his father young Nelson Mandela grew up in the care of the Tembu headman Jongintabe in Mphekezweni, together with his son Justice. 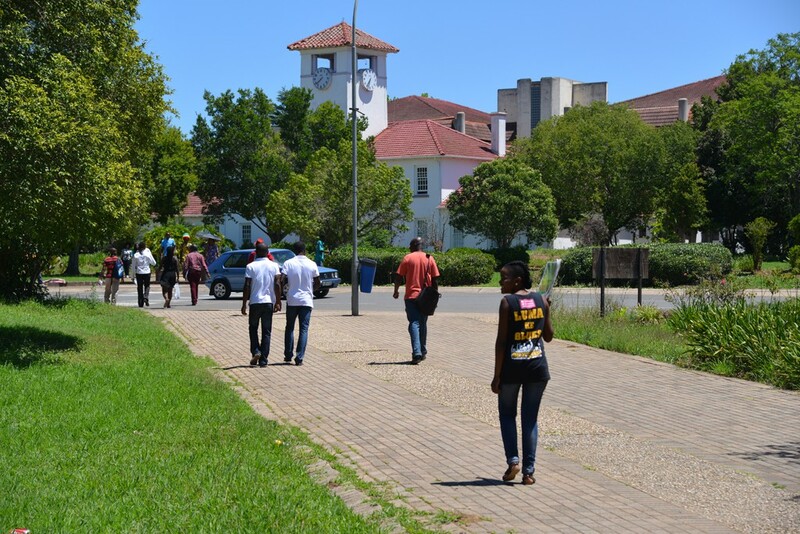 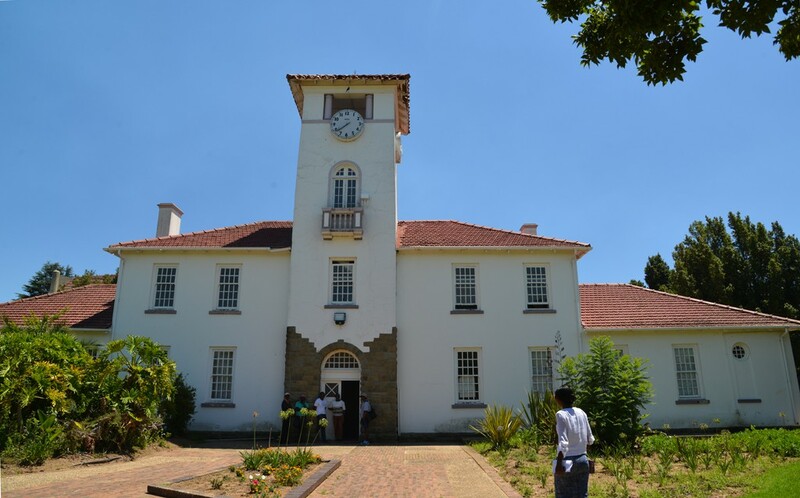 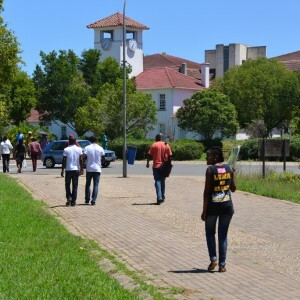 As a student he tried to flee together with Justice from the railway station in Bitye to Johannesburg, after they had sold two stolen prize oxen. 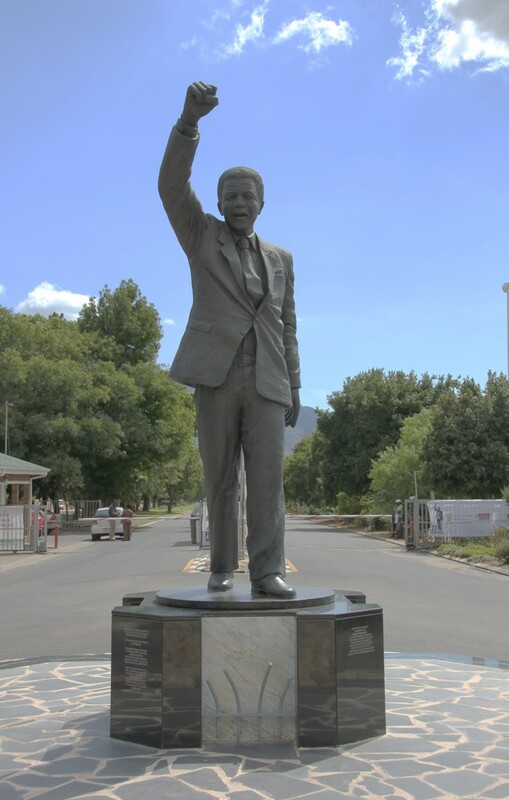 Place of the capture of Nelson Mandela, August 5th, 1962. 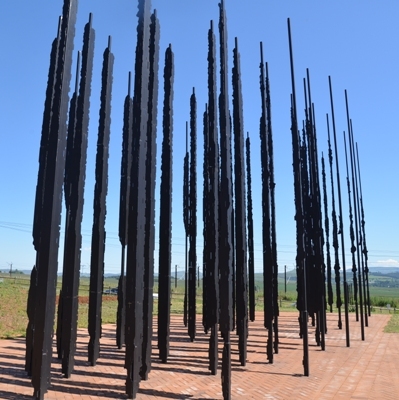 On the occasion of the 50-th anniversary an imposing sculpture as well as a visitor´s center was opened at this point. 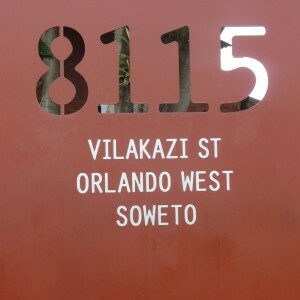 Nelson Mandela moved to No. 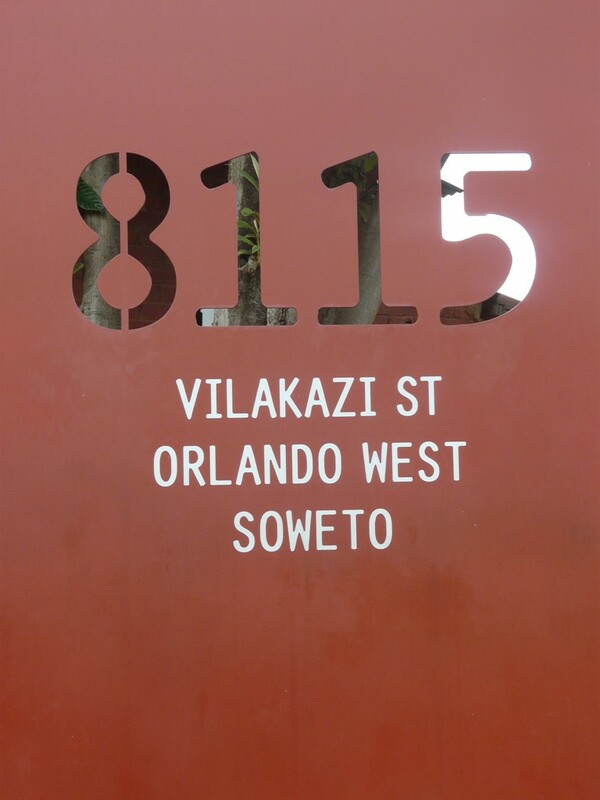 8115 Orlando West, on the corner of Vilakazi and Ngakene Street, in 1946 with his first wife, Evelyn Ntoko Masa. 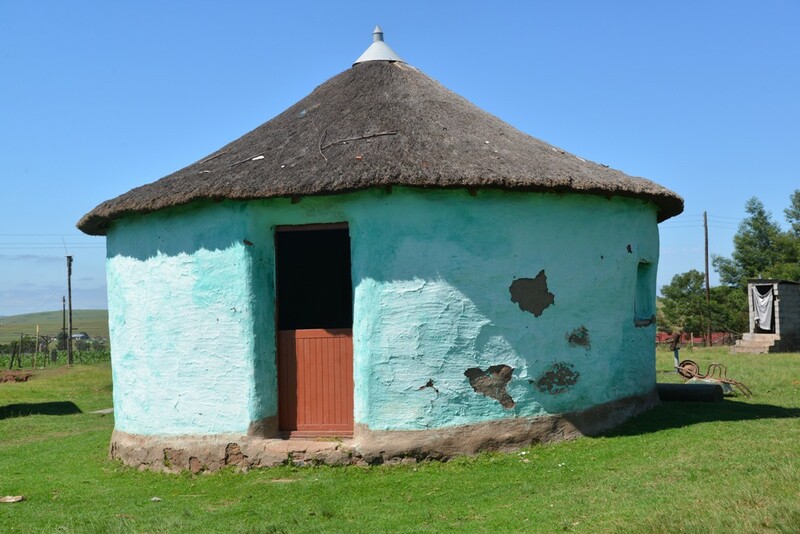 He lived there since 1958 as well with his second wife Nomzamo Winifred Madikizela (Winnie) until in 1961 he was forced to go underground.